Training for a manned mission to Mars means learning to live in extremely cold, dry, isolated conditions. They're tough conditions to replicate, but there's one place on Earth that comes close – and now you can take a tour of it yourself thanks to Google Earth. 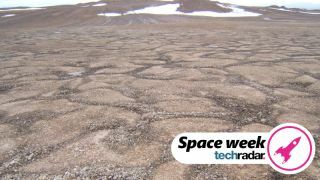 As Space.com explains, the barren island is home to the NASA Haughton-Mars Project – a field research project dedicated to finding out whether it would be possible for humans to live and thrive on Mars. Researchers conduct an annual expedition to the island, and last year the team invited a group of explorers from Google along, who have now turned their findings into a guided virtual tour. Devon Island isn't just similar to Mars in climate, it also shares many of the same geological features, including deep impact craters and steep gullies, which make traversing the martian surface a challenge for vehicles. Google's team not only documented these features and the Haughton-Mars base camp for Google Earth and Street View, they also produced a documentary on their visit, which you can watch below.